Happy Independence Day from the Girl Scout History Project! Back in 1976, the United States was giddy celebrating the 200th birthday of the Declaration of Independence. The Girl Scouts joined in, of course, issuing two national patches that could be worn on the uniform. The winning “Horizons 76” design. Proposed designs for a third patch highlighting “Horizons 76” appeared on the cover of the March 1975 Leader magazine. Each troop could vote for one. “Horizons 76” was a national program encouraging local service projects. A book containing descriptions of these projects was presented to First Lady Betty Ford at the national convention in Washington, DC, in 1975. 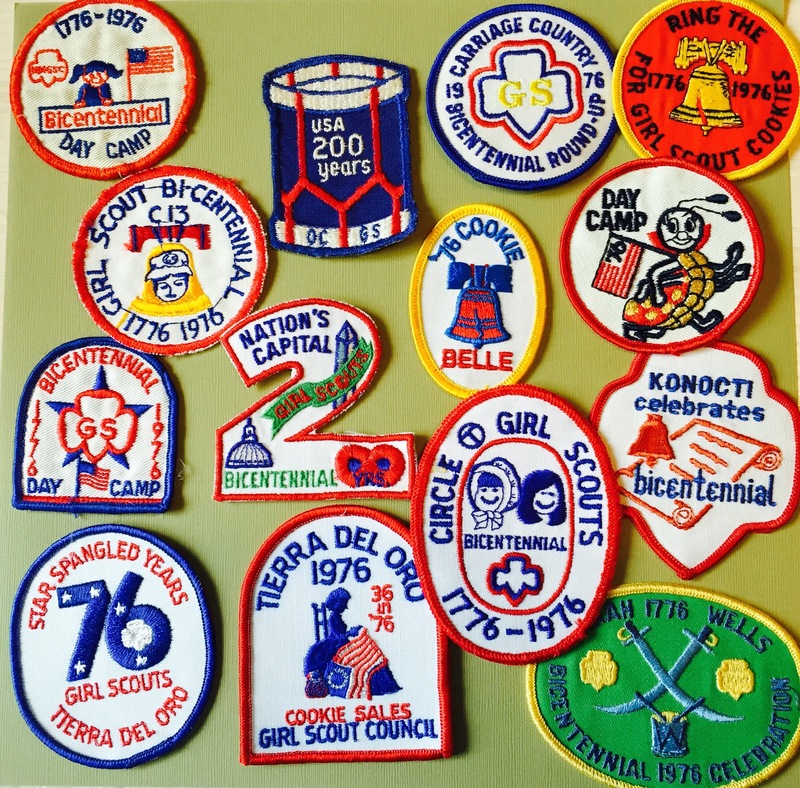 Individual councils also marked the American Bicentennial, with patriotic themed patches for local events and cookie sales. Bicentennial-themed patches from various councils. One of the largest programs came from the Connecticut Trails Girl Scout Council: “If I Were a Girl Scout in 1776.” The program handbook was divided into two sections. The first two parts, “Home and Family” and “The Nation in 1776,” each had six badges that encouraged girls to delve into the history of their families, communities, and country. If I Were a Girl Scout in 1776 Handbook. If I Were a Girl Scout in 1776 patch. Selection of program badges. Top row, l-r: My Flag, George Washington, The State House Bell, My Heritage; Bottom row: My House and Yard, My Country, Toys and Games, My Colony (hand drawn on blank). 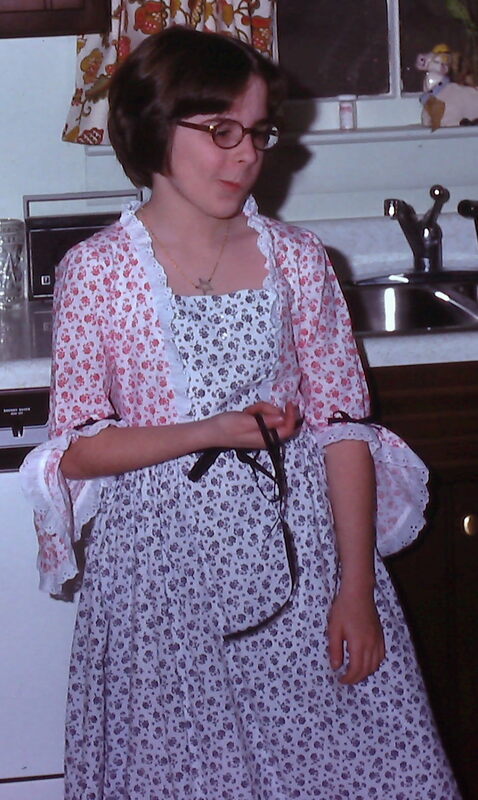 The third section contained instructions for making “the 1776 Girl Scout uniform,” which included a gown or dress, an apron, a fichu (scarf), mob cap, and shoes. How to make a 1776 Girl Scout Uniform. My less-than-cooperative model. That is NOT my daughter. Nope, that would be embarrassing. My bicentennial dress from 4th grade. I was a Junior during the Bicentennial and really wish I’d known about this program. I would have earned all of the badges!